Drawing a clear line between Sharks And Whales can get confusing. Learn which is a mammal and which is a fish. 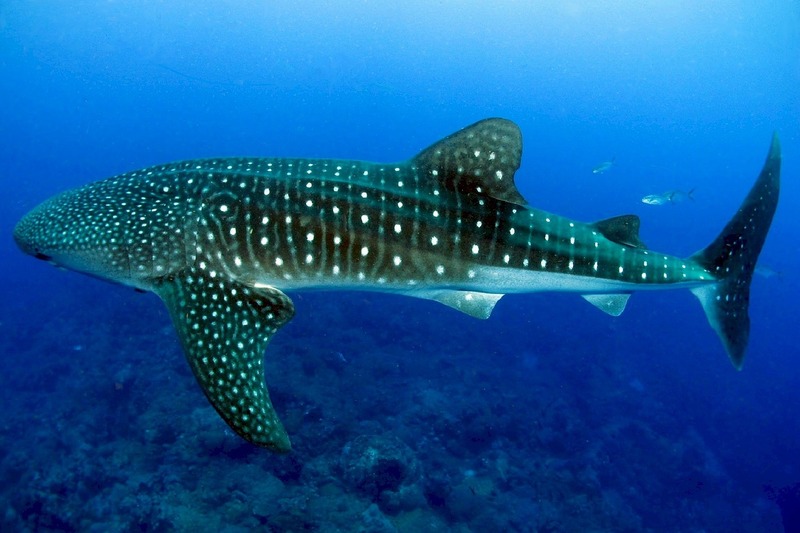 A Whale Shark: Despite being called a Whale Shark and sharing several traits with whales, this creature is a fish not a mammal. If you are anything like most people, you would have at some point thought sharks and whales, especially the very large species, are similar or even related. Take the example of the largest sharks and whales, for instance. 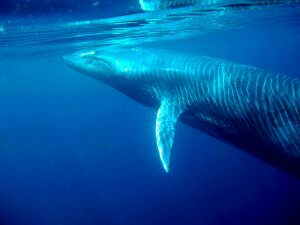 The Common Bryde’s Whale is a baleen whale known for being inquisitive about humans. Out in the ocean, they will approach boats and swim along side them. 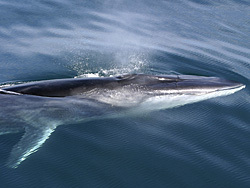 The Common Minke Whale is one of two species of minke whales both within the suborder of baleen whales. This whale is the second smallest in size among the baleen whales. The pygmy right whale is the only one that’s smaller. It has a blackish-gray and sometimes purple color with white underbelly. 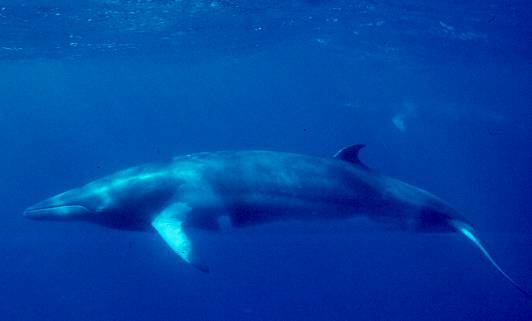 A white band on each flipper distinguishes the common minke whales from others of its kind. 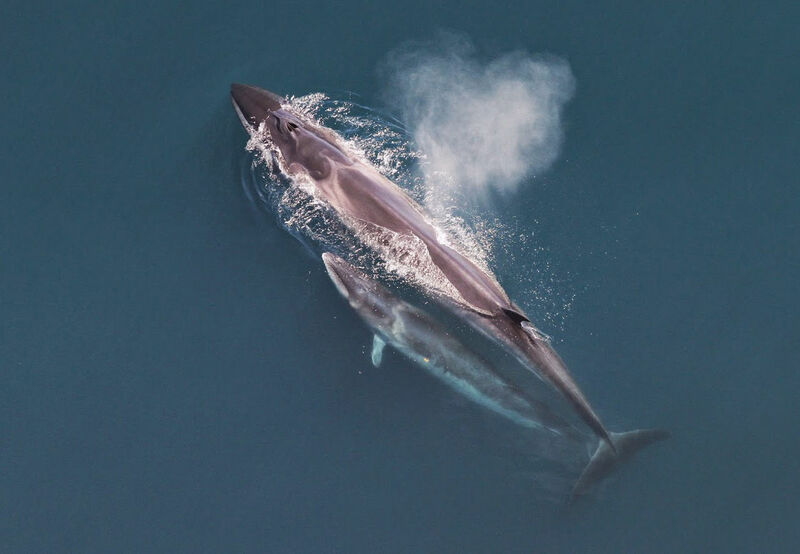 Despite being one of the largest whales alive today, the Fin Whale is also one of the fastest cetaceans in the Earth’s waters. 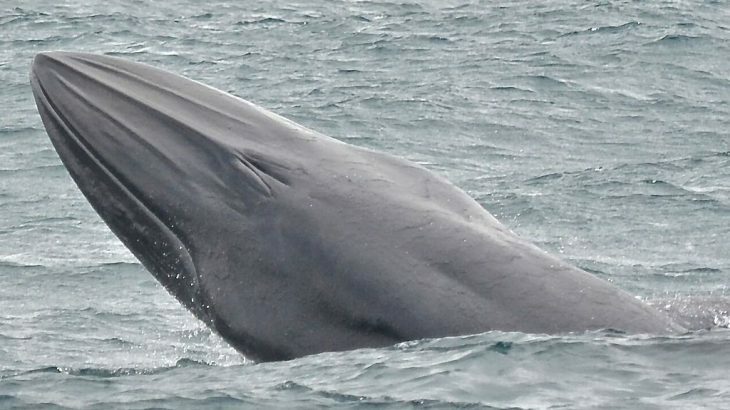 The Fin Whale or finback whale is a baleen whale and the second largest creature on Earth; second only to the Blue Whale. This remarkable creature is unique in a number of ways. For one thing they produce the lowest frequency vocalization of any whale. They produce sounds as loud as 188 decibels but the frequency is so low that humans can’t hear it. The Sei Whale is the fourth largest baleen whale and an endangered species. The Sei Whale is another baleen whale and it’s the fourth largest of them after the Blue Whale, the Fin Whale, and the Humpback Whale. Although it prefers deeper offshore waters, it’s often sighted in most oceans and adjoining seas. Is Underwater Sonar Harmful To Whales Or Not? The debate about underwater sonar and whales has been on for years now. Here are the facts. The debate about whether underwater sonar is harmful to marine life or not, especially cetaceans, has been raging for long now. 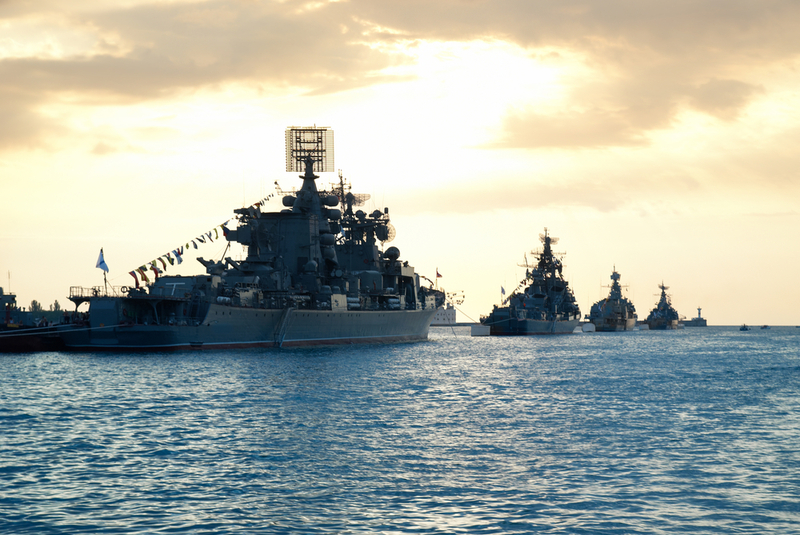 Active sonar (sound navigation and ranging), is the transmission equipment used on ships to assist with navigation. But this becomes a problem for some categories of marine animals for example whales and dolphins. 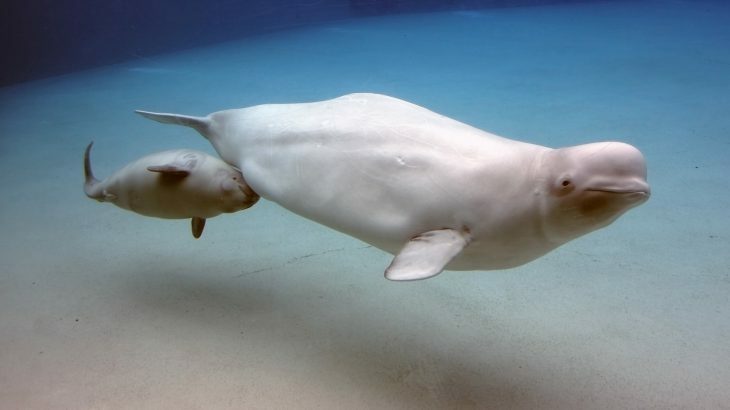 That’s because these creatures use echolocation, or bio-sonar systems, to locate predators and prey. Whales and other wildlife are returning in large numbers to South Georgia and the Sandwich Islands. The place that was once credited as one of the greatest whaling stations on Earth is once again making big headlines. 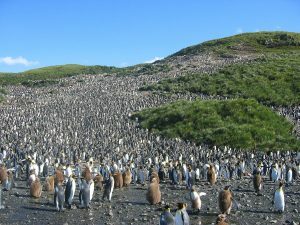 In the South Atlantic, South Georgia and the Sandwich islands may not have any human habitation, but they are now thriving with wildlife, thanks to the penguins, seals and whales making their way back to this once deserted place. The south of Sandwich Islands and South Georgia is a favorite spot for mammals drawn by the abundant krill and fish in the waters. Wherever you look, you can easily spot a seal, a penguin or a whale – an incredible sight to watch. If you intend going whale watching anytime soon, check out our guide on the top spots worldwide on a species-by-species basis first. One sea creature that has suffered extreme exploitation is the whale. Here’s the current status of some well-known whale species. Whales are magnificent, extremely large, and generally gentle sea mammals. Different species of whales have lived in the Earths’ waters for millions of years now but they are now threatened due to excessive whaling and uneven climatic changes. Specifically, unregulated and relentless hunting in past centuries led to a sharp decrease in the population of most species of whales. In fact, in some of the more severe cases, the current population is just a mere fraction of the pre-whaling population. Initially, commercial whalers were monitored by the International Whaling Commission (IWC). However by 1986, due to the extreme depletion in the number of these creatures the IWC temporally banned whaling entirely.